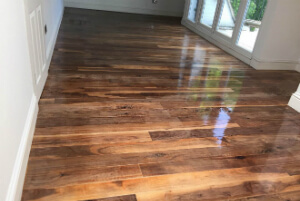 Residential, Commercial Building & Planning South East London SE | Quality Property Care Ltd.
Get your dream home or office, call our professional builders company at 020 3746 4287 and get our experts on the job. We work on weekends, weekdays for offices, landlords, tenants, property managers and domestic clients. All of our builders are certified & fully capable, with safety equipment, all the necessary certificates and special training to perform construction in the Greater London area. The perfect job is always the job you have specially designed and someone else, better & more skilful than you, has done. 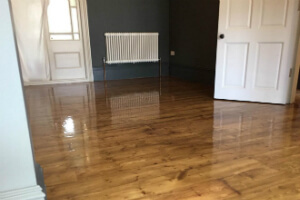 Our builders and refurbishment company Quality Property Care Ltd. in South East London SE hires only trained, well-prepared and educated technicians with special focus to the details and hard motivation to reach the very best results. All the experts are insured & vetted and your property or personal belongings are fully harmless. Any customer can choose not to present during any refurbishment or renovation job. It is only a must for him to provide spare keys to the property and a parking space for the van with all the necessary renovation kits and equipment. To achieve results that would be great to all clients, we take extra care to measure out the amount of rolls of wallpaper it would take. Carefully plaster any uneven spots and cut around corners, around doors, near window sills, around skirting board, light switches and power outlets. We generally do the wallpapering around door frames, wallpapering behind radiators, wallpapering around internal and external corners, wallpapering around window frames as well as staircase walls. Office refurbishment is a service suitable for corporate clients,office or property managers who are looking to improve or upgrade the floor plan of an office, freshen up the space & generally improve a certain property. For end of clients lease cases we can do repair and replacement of suspended ceilings, replacement of wall finishes, replacement of floor coverings, changes in the layout of the floor plan, which may require the removal and construction of new partition walls. We can also do the reconfiguring of all kind of electrics and lighting around the property as well as the refurbishment or upgrading of bathrooms or washrooms and toilet cubicles. For existing premises we repair and replace suspended ceilings, upgrade conference & meeting facilities, re-do the flooring and decoration of walls and different finishes, as well as put in new office furniture. With this service you can get the greatest tiling work done from Quality Property Care Ltd. for the entire South East London SE area. We work with quartz, ceramic, porcelain, mosaics, quarry and terracotta from natural stone tiles which include slate, marble, clay products, travertine, limestone, granite. In general our tradesmen work both in homes & commercial settings, tilling floors and walls, grouting and sealing and re-sealing surfaces. For floors and walls we work with natural stone tiles, ceramic and porcelain, deal with installing wall tiles and floors, installing tile borders, applying mosaic tiles, tilling a splash back and part-tiling walls to achieve a certain effect. For grouting we use the most effective materials, usually anti-fungal and anti-bacterial. The service covers the grouting of tiles, replacing and removing of grout, applying floor tiles grout, applying wall tiles grout and repairing grout cracks. Possibility for Quality Property Care Ltd. to provide all the necessary materials: the best prices and high quality are guaranteed! With our customer support and a dedicated team we can guarantee a hassle free experience regardless the size of your project, we accommodate them all. Make your dream remodel come true, call 020 3746 4287 for the best professional builders service in South East London SE. Fully insured, certified and trained our team is capable of making your vision into a reality, regardless if home or office refurbishment, we can do it all.